With more than 17,000 islands and hundreds of languages and cultures, Indonesia is amazingly diverse. Home to 243 million, the main island of Java is the most populous island in the world. At least 725 different spoken languages and 783 unique people groups are scattered over 6,000 habitable islands. Indonesia has the world’s largest population of Muslims with more Muslims than Iraq, Iran and Eqypt combined. While the gospel has been presented in parts of Indonesia, still 70% of it’s population has yet to hear. That means almost 170 million people in over 200 People Groups are still waiting for the word of God. More workers are needed to start International churches, student ministry and church plants. Unreached People Groups— currently focusing on 13 unreached people groups, we need opportunities to do so. Windu Winarso pastors Jehova Jireh Assembly of God. This building is only 13 feet wide by 60 feet long and the middle aisle is a mere 18 inches wide. Packed with former Muslims, drug addicts, prostitutes, and seekers, others stand in the street listening to the service. Pastor Winarso also has a second church in the local graveyard. On Saturday they have 360 adults attend the first service and around 180 youth and children attend the second. He has been doing this outreach for 12 years among the “tomb dwellers. 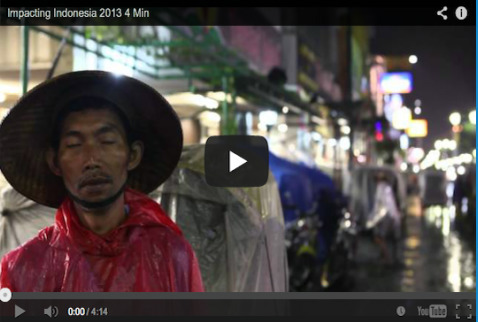 Pray that other Indonesians will follow the example of Pastor Winarso!